14 Jan 2019 The store of the future. The place to be! 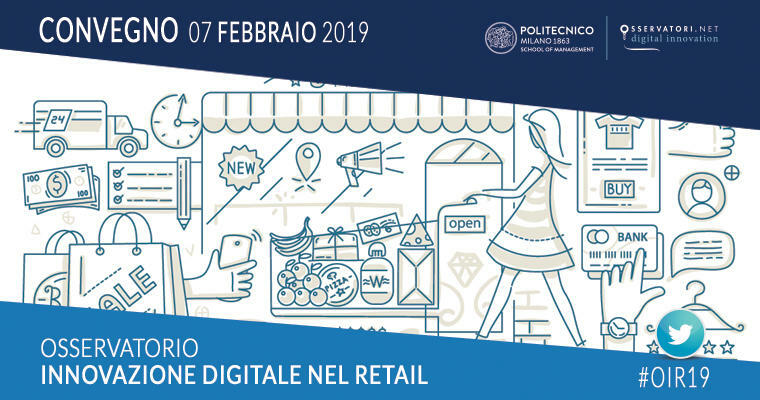 TESISQUARE, partner of the Retail Digital Innovation Observatory at the Politecnico di Milano, will take part in the Conference presenting the results of the 2018 Research, scheduled for 7th February at the Bovisa campus. Retail, in Italy as well as abroad, is going through a phase of deep transformation. The growing success of eCommerce and the continuous change in customer habits and needs, accompanied by a search for efficiency, lead retailers to review strategies and processes. In this context, digital, if properly managed, can represent a critical success factor: it can support the improvement of its internal processes and can enable a richer and more valuable relationship with its consumers. With innovation, the store is then enriched with new meanings: the store, emptied of its original role (physical access to the product), becomes an open space (because it is integrated with other digital channels) not only in terms of transactions, but also of relationship. The Observatory Convention, through the presentation of the research results and the testimonies of the protagonists of the sector, wants to shed light on the opportunities of digital innovation, providing retailers with the tools to successfully lead the change. The event will be held on 7th February from 09:00 to 13:00 at the Aula Magna Carassa e Dadda, building BL.28, via Lambruschini 4, Bovisa campus, Milan (MI).